The folks over at Curious Expedition has an interesting post on automatas and link to a YouTube video of the famous Joueuse de Tympanon automata which was built for Marie Antoinette the wife of Louis XVI. It was built by David Roentgen and Pierre Kintzing. The automata is a two foot tall musician who actually played the dulcimer striking its strings with hammers in her hands. 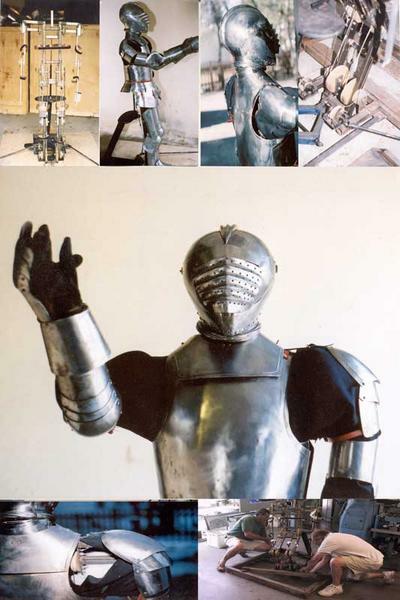 It should be noted that the automata was reconstructed by Robert-Houdin (the famous magacian Houdini took his stage name from Houdin although he later denounced Houdin). William G pointed our attention to a 6 Bit Marble AddingMachine mentioned on the Wired Blog. They also have a video on their site so be sure to check out the wired link. One of these days I think someone will try to make a wooden difference engine. In the mean time here is an excerpt. 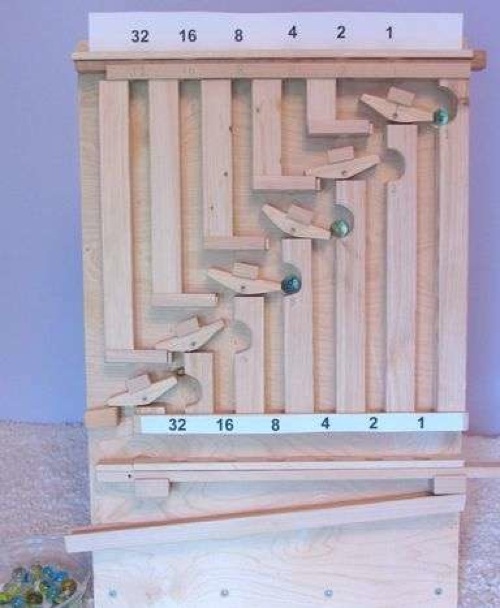 Woodwork hacker Matthias Wandel has built this amazing binary marble adding machine. The device can store the binary states of six bits, and use them to add numbers from one to 63. It works with simple rockers, tipped by the marbles to represent zero or one. Thanks for the pointer William!